I am proud of our garden–it’s been a lot of hard work breaking in a new plot, but with some sweat, hope (and pixie dust) we have a fundamental part of homestead healthcare: garden based nutrition (and exercise =). I could brag about our rainbow chard, four different varieties of heirloom tomatoes, but instead I’m going to brag about my community. This garden is an indirect community project. Everything in the garden came from our local community, and most of it was free. A friend let us use her tiller to break ground. We re-purposed fence posts, the fence netting I rescued from the recycling bin (all of it!) 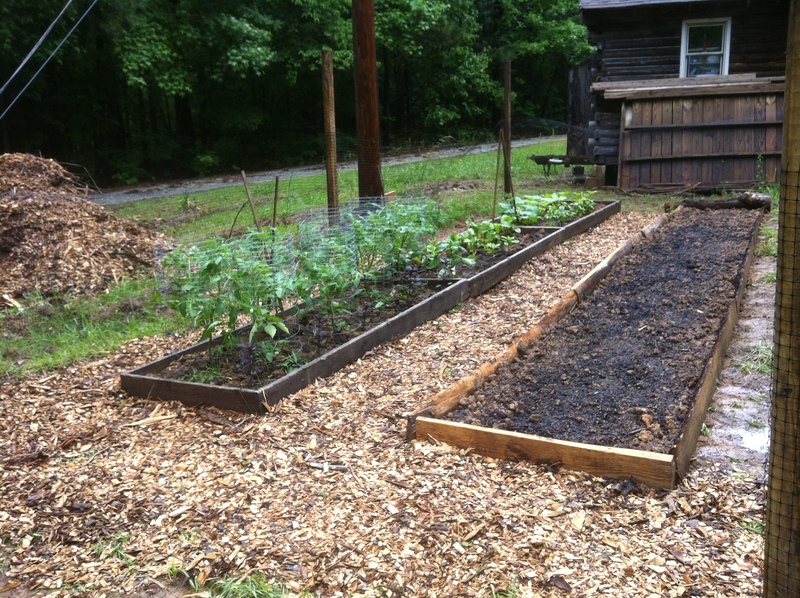 The box beds were re-purposed from an old garden, and the new bed was made from scrap lumber from our local saw miller. The wood chips on the path came from a local arborist. 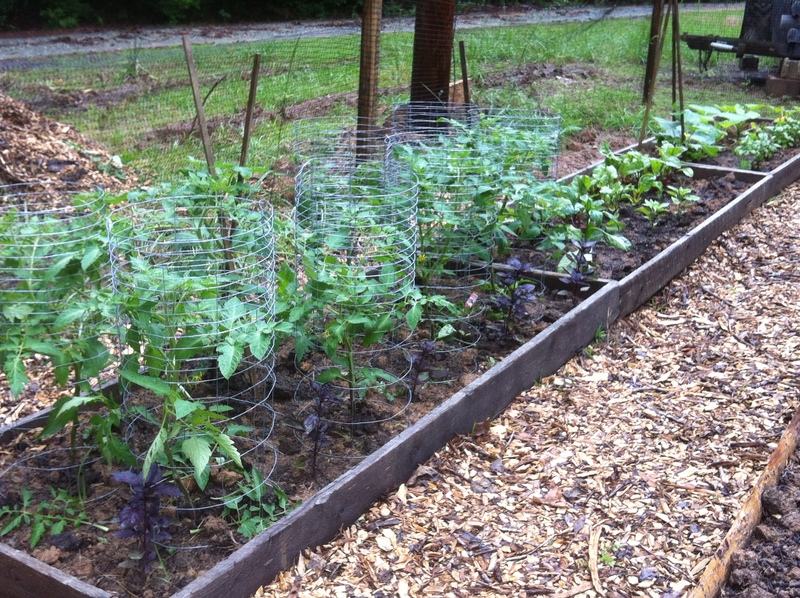 Even our tomato cages, we made from scrap fencing. All of these materials were someone else’s trash. We were fortunate enough that a Farmer friend of ours let us come by and pick out end-season plant starts, which we babied. A client of mine, passed along more plant starts. One day I came home to eight buckets of dried manure on my front porch, a gift from my father’s sheep =). The few things I had to buy, a friend gave me expert advice on organic top soil (cheap!). Yesterday, we finished planting the second half of the garden. The other half is yet to be built, but dreams of beets and Brussels sprouts, drive us to keep digging. Our garden is a labor of love–from which we will be able to give back to our community the gift of nature’s bounty and medicine. 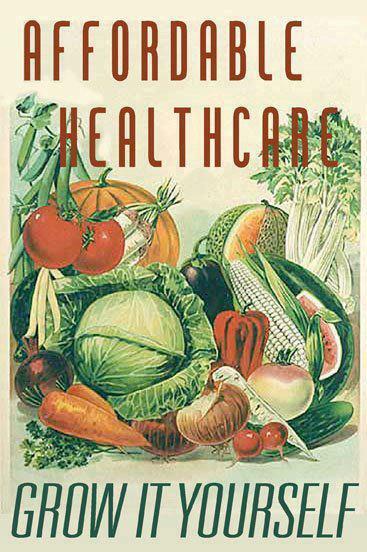 For more information about nutrition, Heirloom seeds, and horticulture therapy, check out our other blogs.